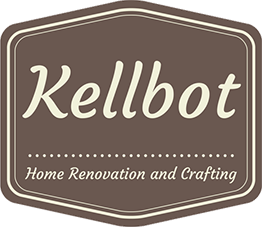 Hardwood Floors Are Underway - Kellbot! | Kellbot! The biggest project on our to-do list for the new home is the floors. The two upper floors came with wrinkly, stained carpeting that we knew we’d want to replace before moving in. We decided to bite the bullet and have hardwood installed. 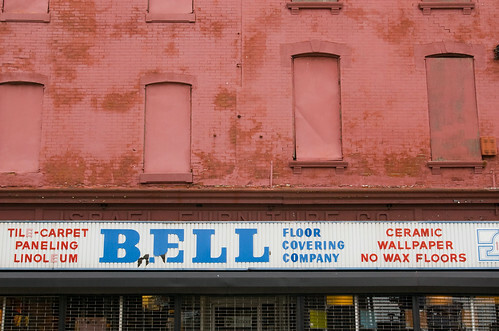 Our first stop was Bell Floor Covering in downtown Philly. This place has been around forever, and it didn’t take long to figure out why. 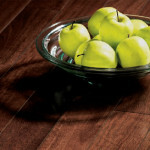 The sales staff was friendly and explained the difference between solid and engineered hardwood. 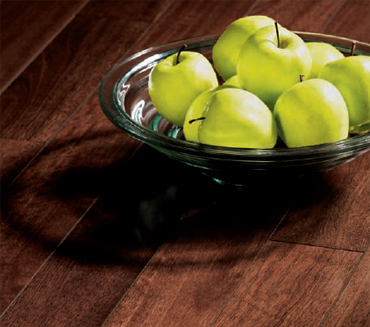 Engineered woods can be installed most anywhere and can be refinished twice. Solids have to be nailed down and can be refinished three or more times. Since we’re installing it over a plywood subfloor, we could go with either. We ended up picking out a solid hardwood called Lyptus – it’s a hybrid of a few different Eucalyptus species and claims to be sustainably grown and harvested. It was on closeout so we got it for $3 / square foot, less than half of what it retails for. To figure out how much we needed I went around and measured every room in the house that we wanted to put hardwood in, closets and all. Since converting feet/inches to decimal is tedious, I used Wolfram Alpha to calculate the square footage of each room. I added 10% to the total to get the total number of square feet. We had three contractors come out to give estimates – two dedicated flooring specialists and one general contractor who handles complete home remodeling. All of them came in around $3 / square foot for installation. We went with the general contractor and I was immediately glad we did – when we were loading the wood flooring into the garage I noticed a leak coming from the first floor bathroom. The contractor, Osman, added to his list of things to check out. Osman and his assistant are hard at work ripping out the existing carpet. I think it’s already starting to look better. Good luck! Can’t wait to hear how it went and see the after pics! Thanks, me too! Hopefully they’ll be done mid-week next week. And then I have to start thinking about paint colors… eek. I’m loving this vicarious look at your house design process — who knows how long it’ll be before I get to do such a thing myself! The paint color for the game room is going to look fantastic!